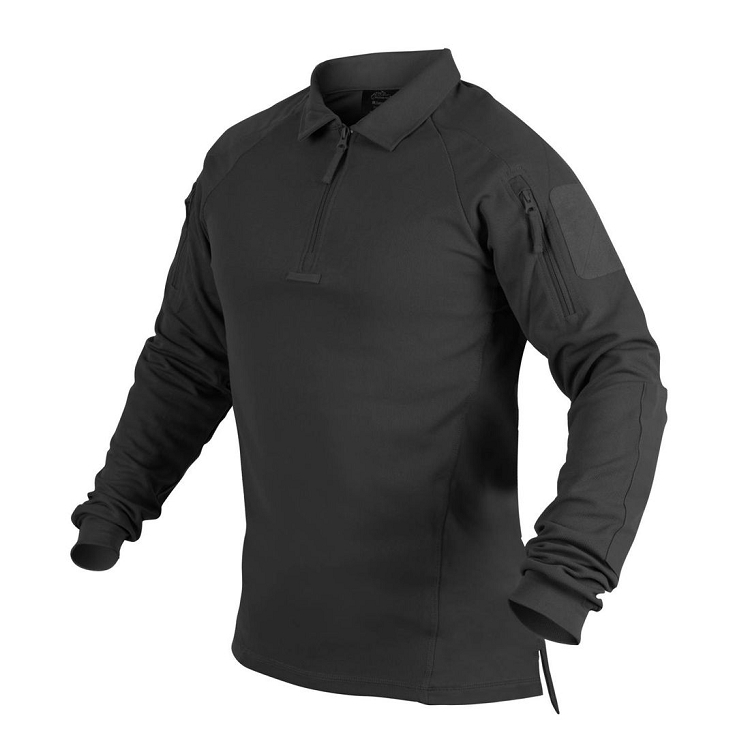 Helikon-Tex tactical shirt POLO RANGE is a tribute to shooting enthusiasts. Made of quick-drying, pleasant to touch material. 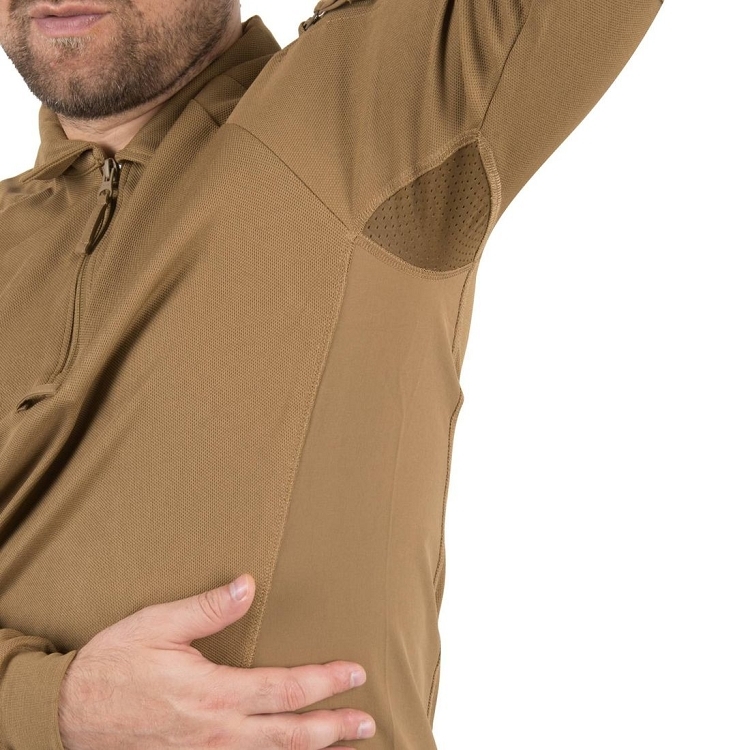 The sides of the shirt have special panels made of VersaStretch material that prevents excessive wiping during use. 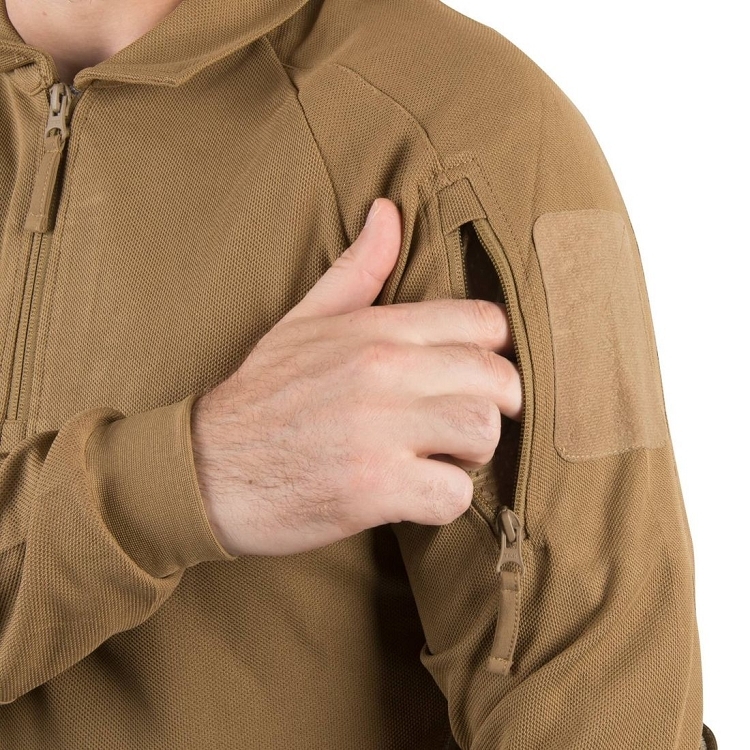 Elbows are placed on the elbows with pockets for Low Profile Protective Pads. To raise the functionality under the arms, a ventilation net was sewn in. 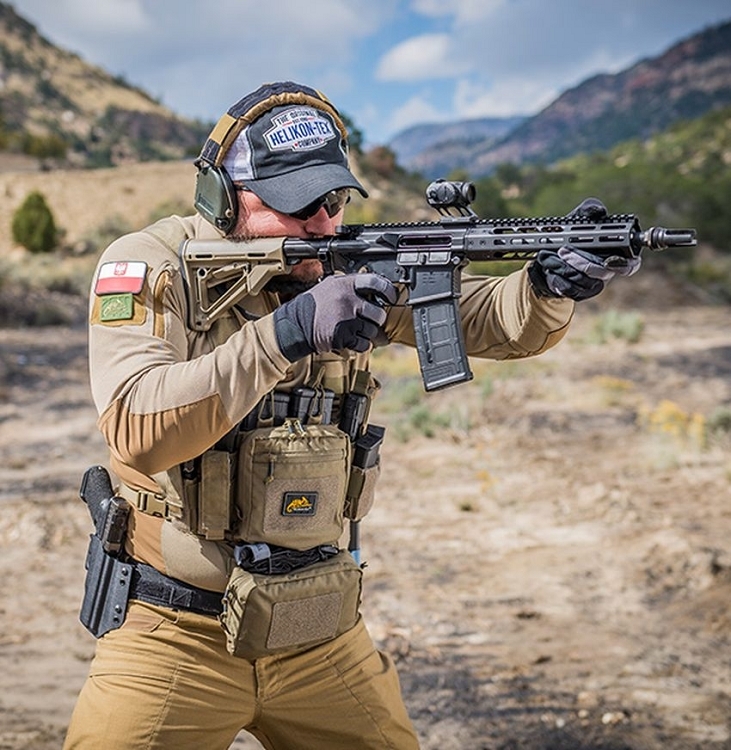 Velcro panels on the shoulders allow for easy personalization. In addition, the shirt has two shoulder pockets and a loop for glasses.